GoGreen Group @ B'lore's 5 star Hotel Oberoi 08jul11 - GGI-Group size: 4000+ Professionals, Increasing on day to day basis, Come & join us 2 serve Mother Nature. 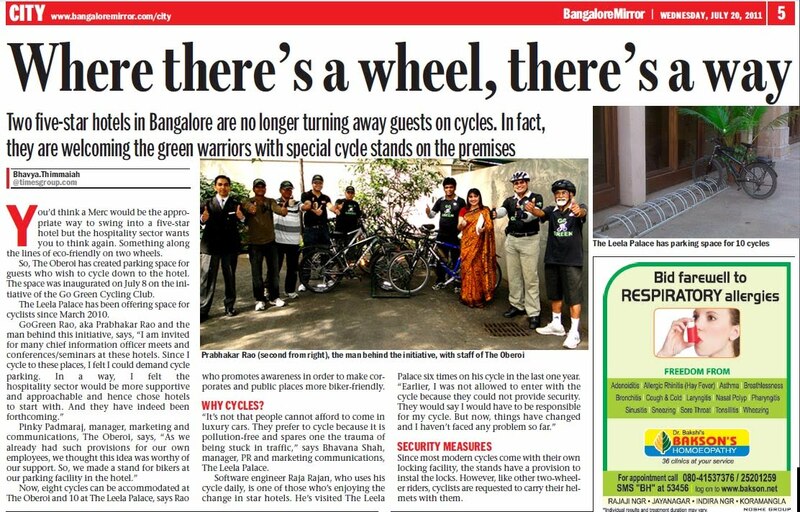 08July 2011, Was a special invite day for our GoGreen Group while one of 5 Star Hotel invited GoGreen Rao & the group for inagurating a Bicycle stand in their Hotel premises. 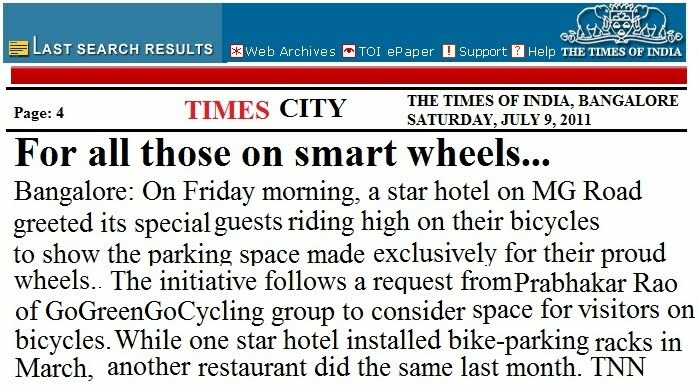 GoGreen Rao while attending one of a CIO meet @ this hotel had requested for a bicycle parking & hotel managment appreciated the request and within 15 days of time they arranged the same. It was a pleasent surprise to the all the group members to receive such a warm welcome. right from the gate till we were excorted inside the hotel, The hotel managment people were with us.